In this book Joke de Vette combines the different embroidery stitches with beautiful 3D pictures. 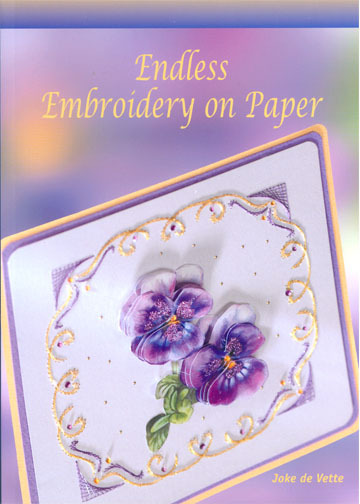 This gives rise to refined, striking and easy to make cards. The embroidery stitches used are clearly depicted and described. There are nature, children, flowers, oriental beauty, clowns and Christmas patterns included in actual size. 80 pages. 6 1/2" x 9"